A song, it is said, can lift the heaviest heart and put a sparkle in the saddest eye. 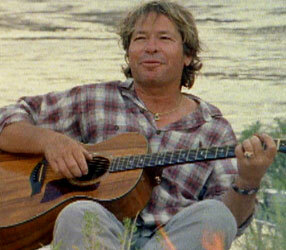 And, as John Denver showed during a remarkable life cut short by an untimely accident, a song can also be one of nature’s best friends. NATURE presents an intimate portrait of the life and work of this popular singer-songwriter, who used his music and his prominence to work for the protection of some of Earth’s most extraordinary wildlife and wild places. 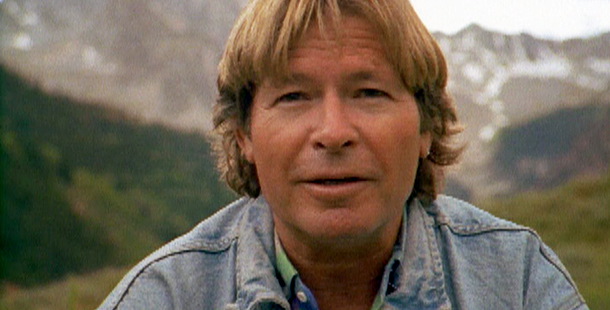 John Denver: Let This Be A Voice takes viewers down country roads and up to high rocky mountains. Along the way, it offers a wealth of spectacular side trips, from the roaring rapids of the Colorado River and the serene lakes of back-country Alaska to a golden eagle’s nest high on an Idaho cliff and a herd of wild mustangs on a Wyoming prairie. One of the first major conservation efforts to gain Denver’s support was the 1970s campaign to preserve more than 100 million acres of wild public land in Alaska. Denver was a tireless spokesman for the effort, even making a television documentary that highlighted the dramatic scenery and abundant wildlife of America’s final frontier. In 1980, he joined millions of other Americans in celebrating Congress’s approval of the Alaska National Interest Lands Conservation Act, which set up dozens of new national parks, wildlife refuges, and wilderness areas. And he was one of the dignitaries invited to stand in the Oval Office of the White House while President Jimmy Carter signed the bill into law. Denver went on to win a host of awards for his conservation work and found a number of groups dedicated to environmental protection and ending world hunger. But he also found time to be outside, whether fishing for salmon in Alaska or watching the state’s remarkable caribou herds embark on their annual migrations across the tundra. Tragically, Denver, the son of a pilot and an enthusiastic amateur flyer himself, was killed in an October, 1997 plane crash. He left behind an impressive legacy, from a host of hummable hits to the scores of national parks and wildlife preserves that he helped establish. There are even John Denver scholarships for young scientists studying ecology. Together, these accomplishments will remind future generations of Denver’s commitment to nature.